A few people have asked me for the handout that accompanied my GDC Online 2012 Presentation, “Occult Game Design: An Initiation into Secrets and Mysteries,” so I thought I’d provide a link to it here. The handout contains the names, dates, and brief synopses for the media referenced in the talk, including many games. In addition, the slides for this talk are also available online for free at the GDC Online website, though a subscription is required to access the video recording of the talk. Hi! How are you doing? I saw that you liked the Facebook page for Arcana a little while ago. Fascinating work. 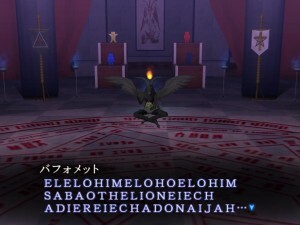 What game is the Baphomet image from? Thank you, Vincent. 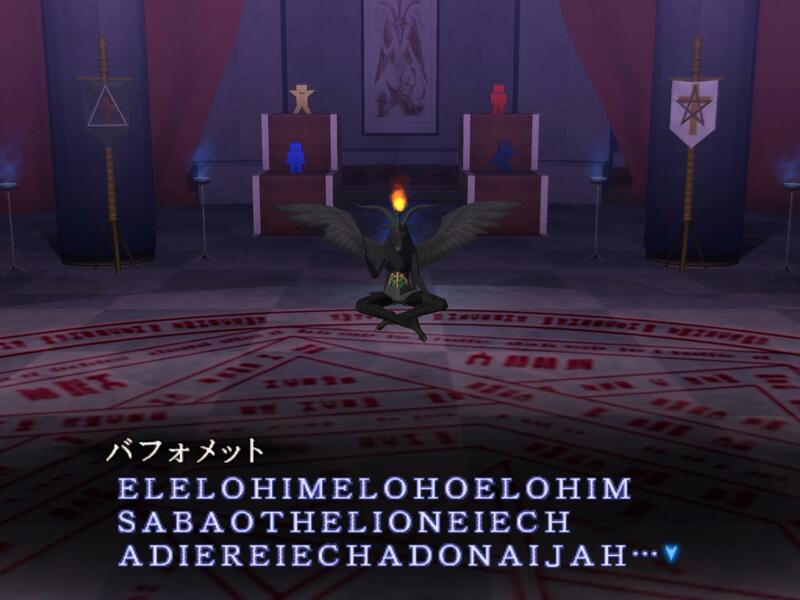 The Baphomet image is from Shin Megami Tensei III: Nocturne.